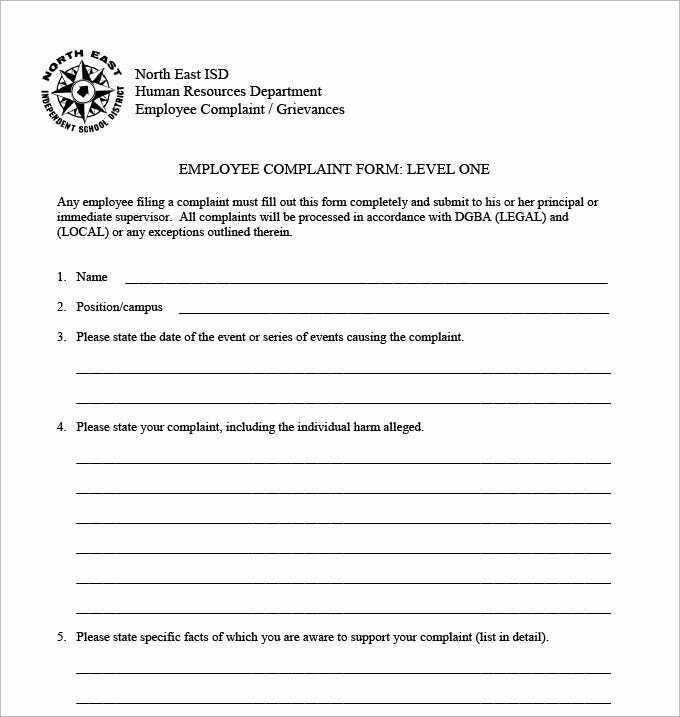 A HR department of any organization is liable to receive a huge number of complaints on a daily basis. 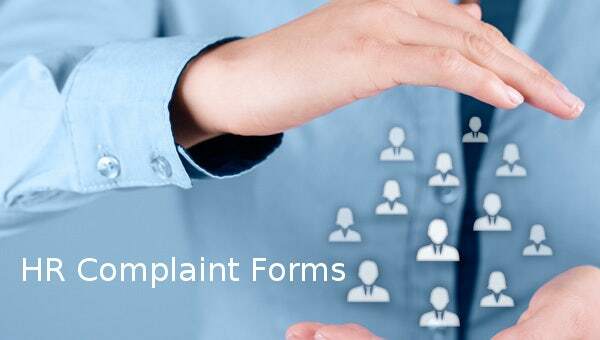 A company’s structure is composed of several layers and often there are problems between groups or individuals for various reasons, work related or otherwise. 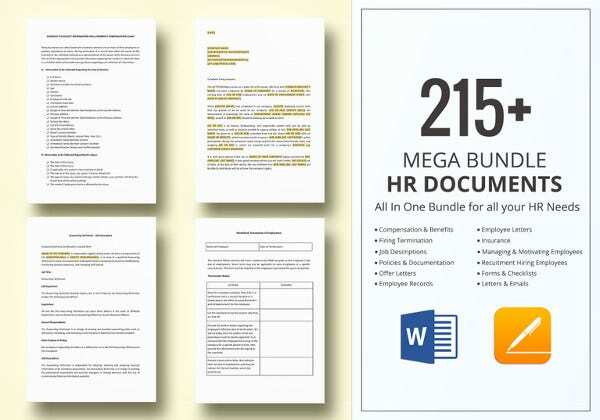 You can also see Free HR Forms. 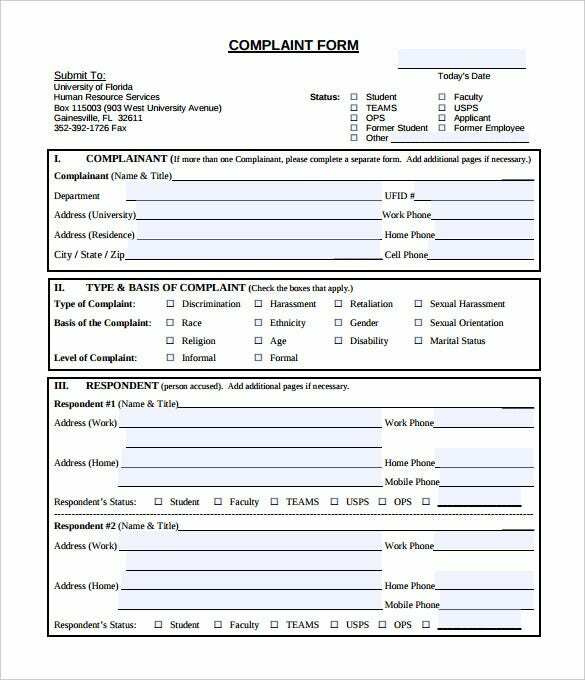 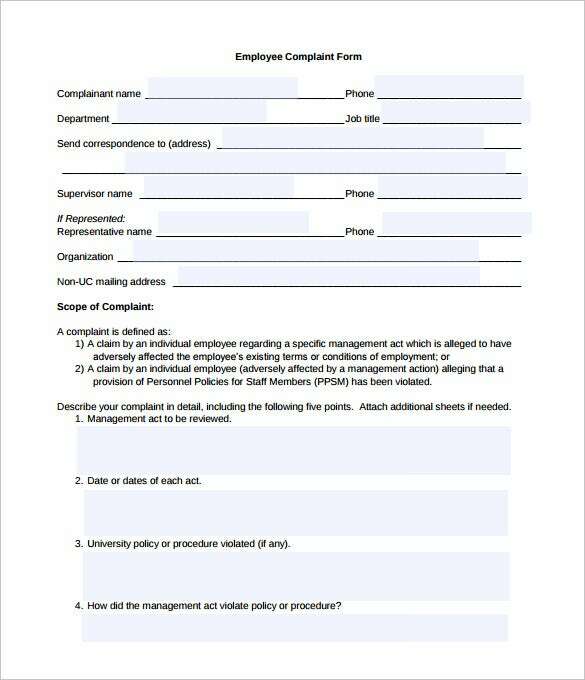 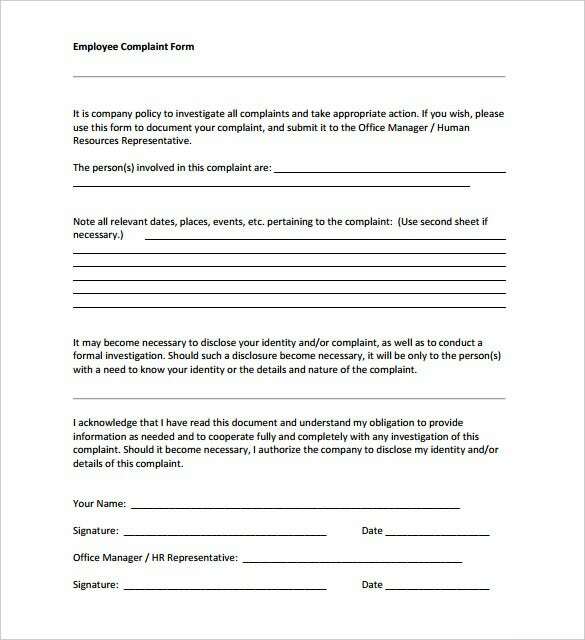 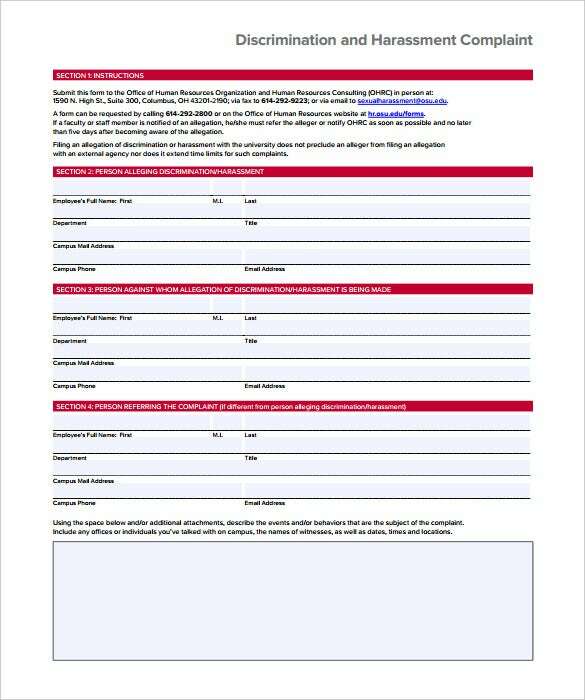 Download Thus, by using these Sample HR Guidelines templates, the department can ensure a smoother process of receiving and responding to complaints lodged by employees with a ready channel of communication provided, working similarly to HR Feedback Forms. 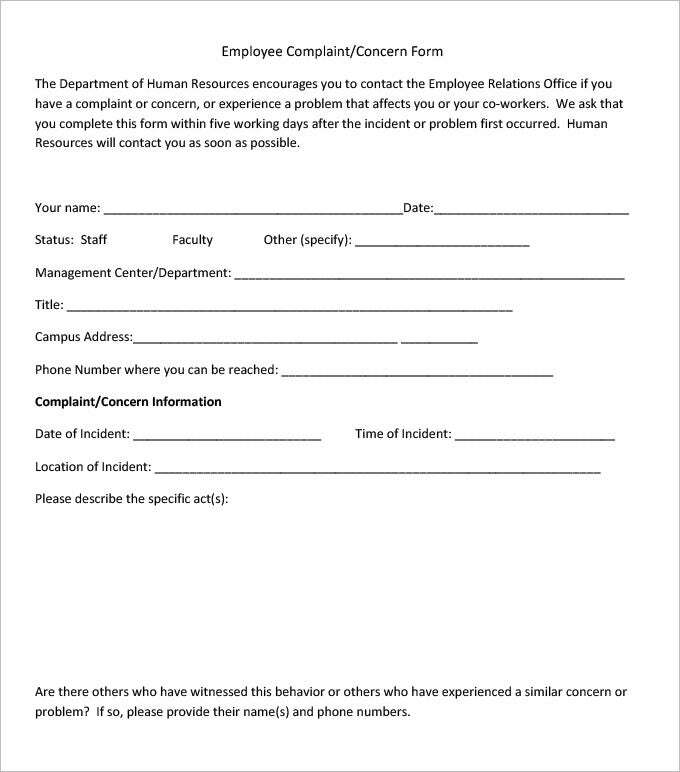 These templates are extremely versatile. 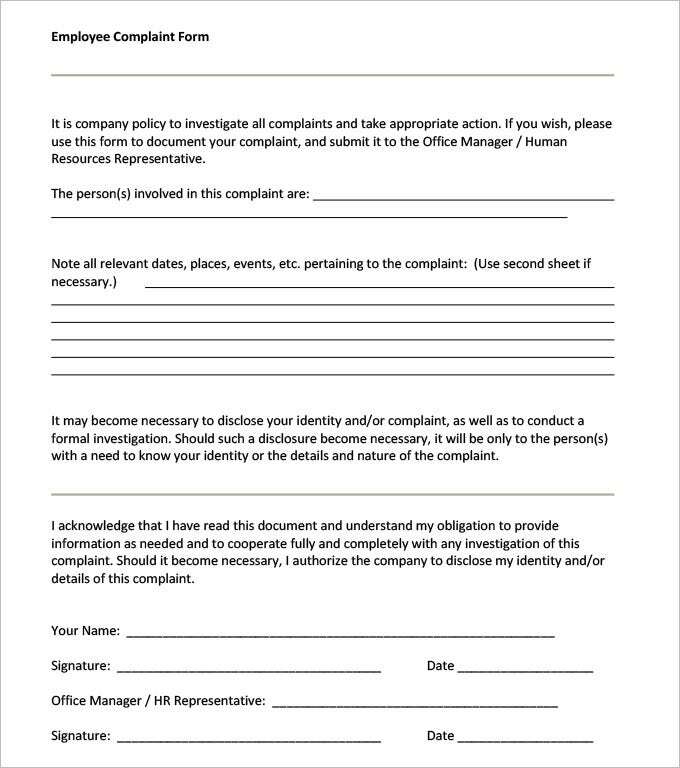 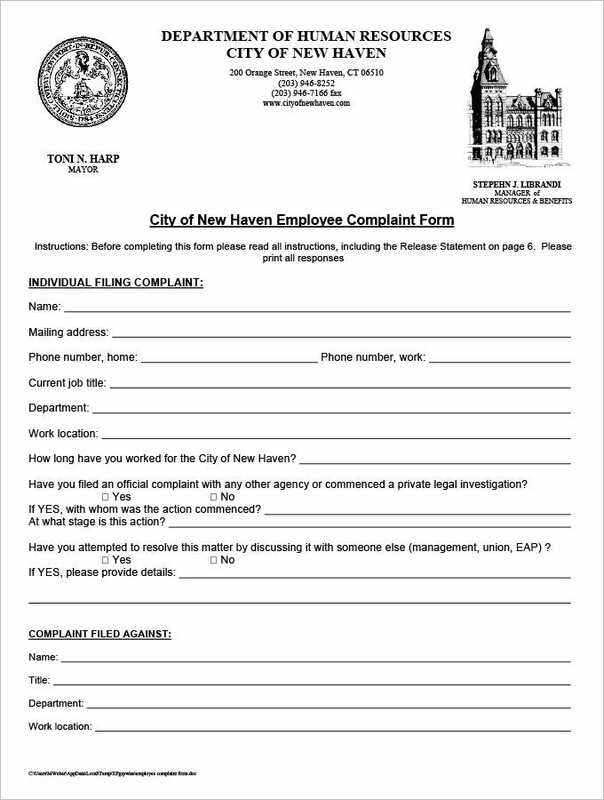 The content is easily changeable, including the various categories that are required to be filled up in order to file the appropriate complaint, whether it is for insubordination, sexual harassment, verbal abuse, physical altercation, theft, damage to personal belongings. 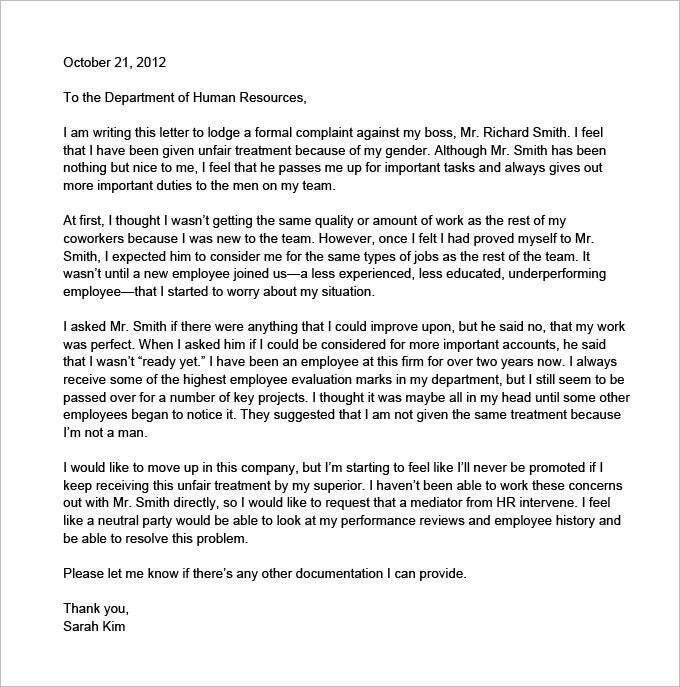 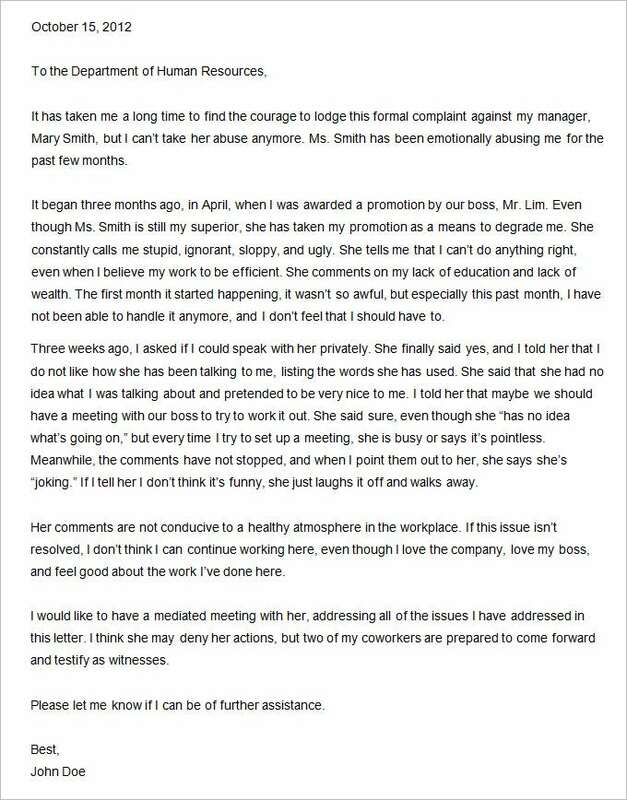 Whatever other grievance the employees may have. 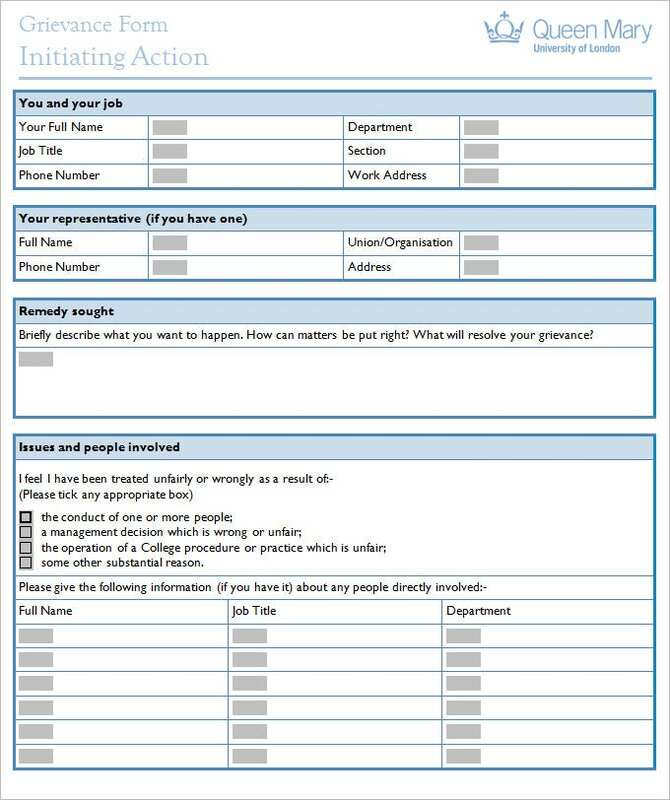 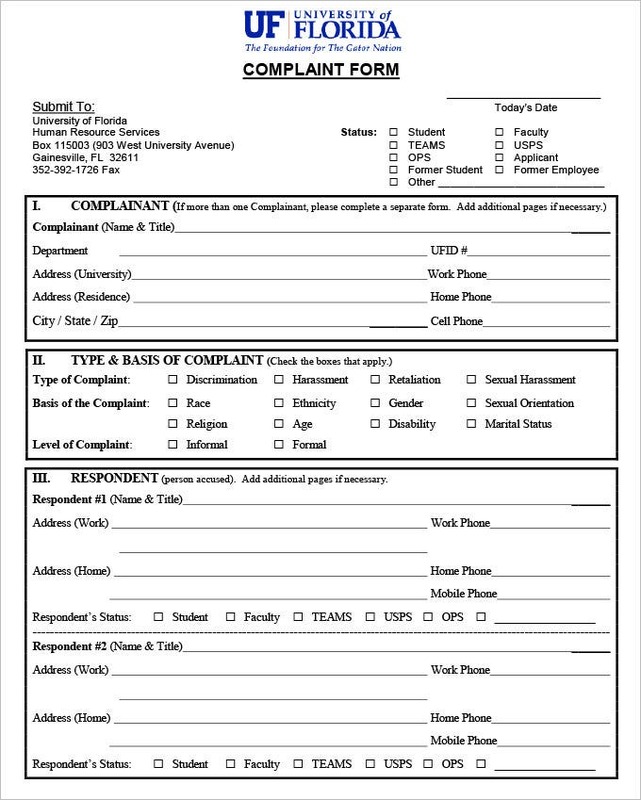 Available free for download, the forms can be edited in any manner, with categories and questions the department wants to add being easily integrated. 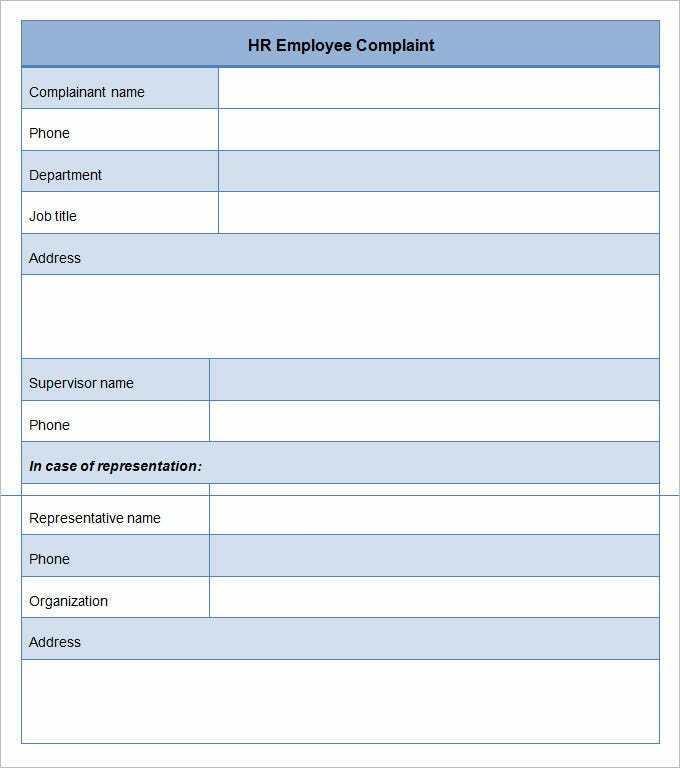 Employees may also utilize HR Legal Forms in tandem to lodge particularly serious complaints. 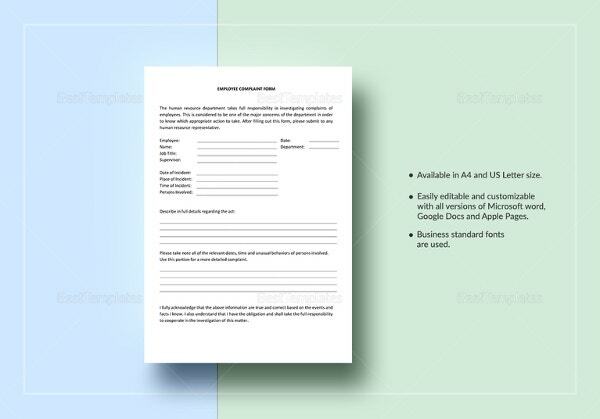 You can use all kinds of fonts as the templates support a variety of styles. 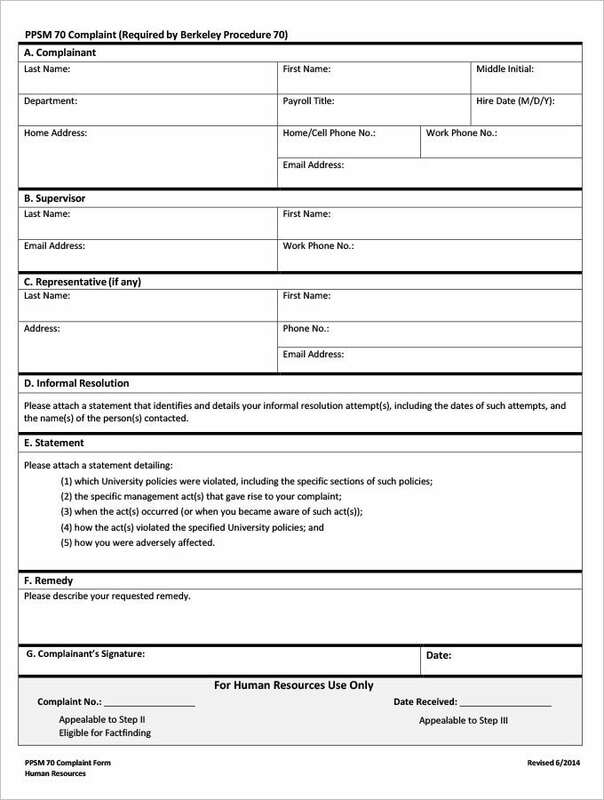 The efficiency of the department is increased as they can simply store one such template and make such alterations and distribute them. 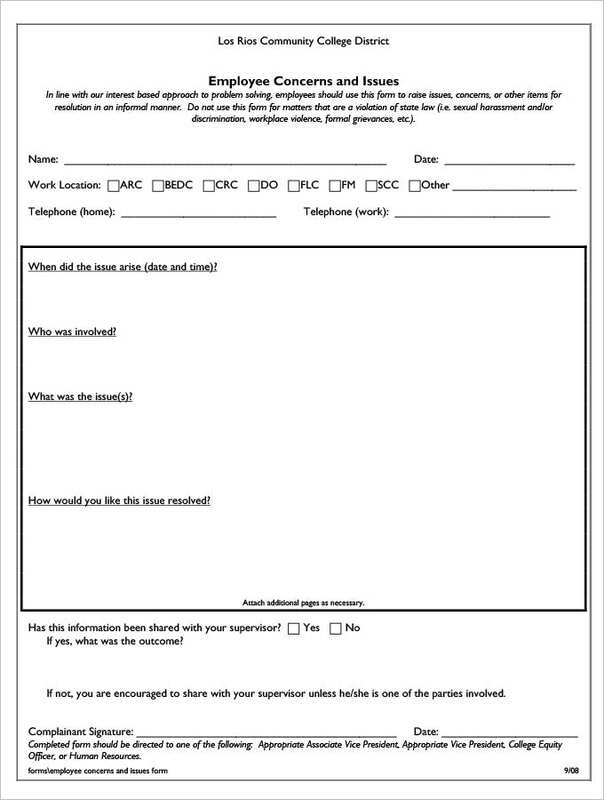 Being available online, they can be distributed through emails, discreetly. 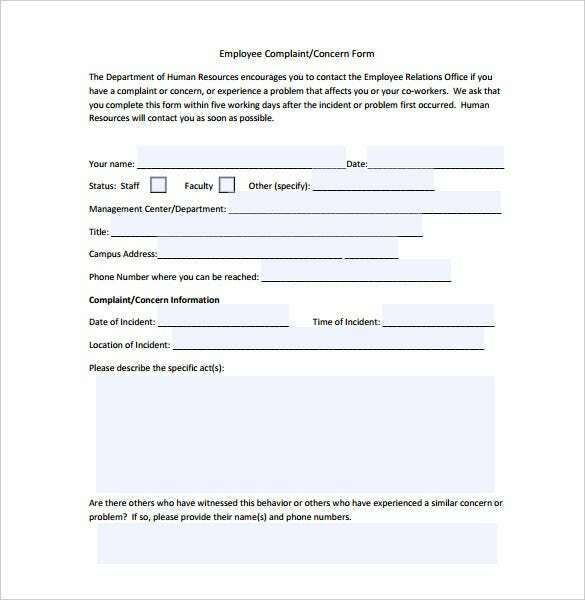 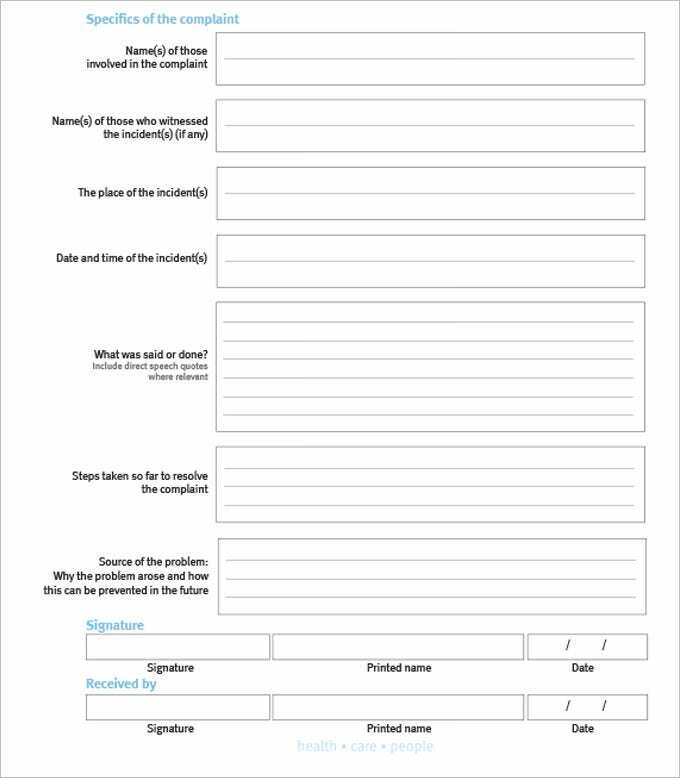 Employees will be encouraged to use these forms to communicate with the department without attracting too much attention as such matters are often very delicate. 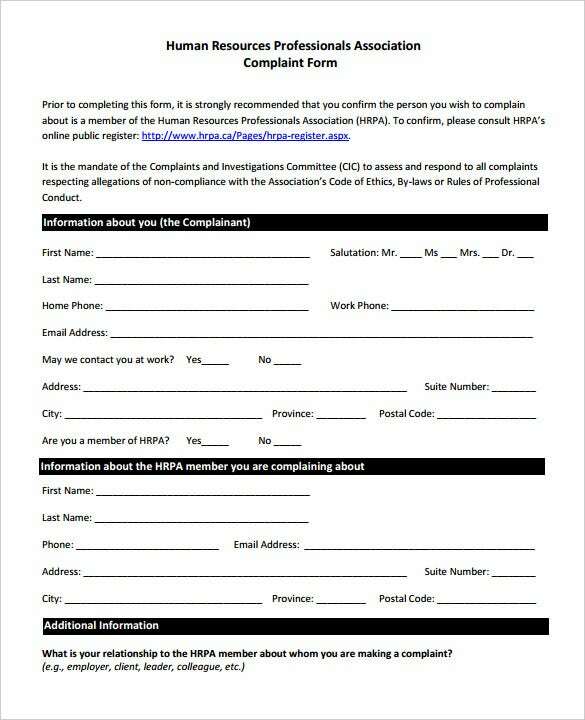 If u have any DMCA issues on this post, please contact us.